Make payments, manage your account and more! Or if you are a new customer, create an account. Bridgecrest offers several convenient options to fit your schedule. Choose to pay online, through your bank, in-person and more -- no fee options available! Sign up for Automatic Payments and Save! 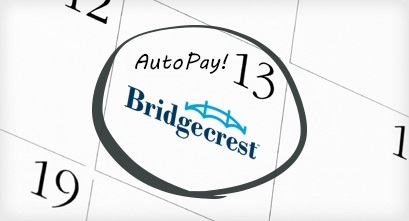 To make your Bridgecrest payment without ever worrying about fees or being late, sign up for Automatic Payments today! It's easy and you can cancel at any time. You're Mobile, and so are we. Make your payment, manage your account and more all from your mobile device. Our website is mobile-friendly! Need a quick answer? Before you call, read answers to commonly asked questions! 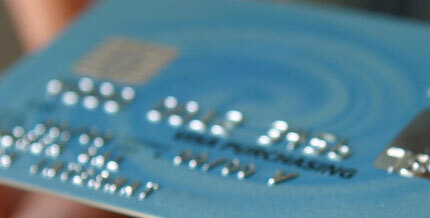 We have several payment options to choose from, all designed to offer you the most convenience. There are lots of ways to get in contact with Bridgecrest. Give us a ring, email or chat today. © 2019 Bridgecrest ®. All Rights Reserved. 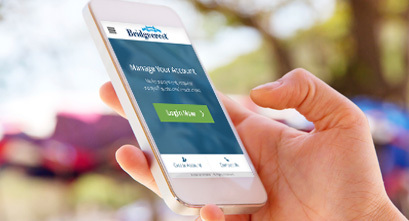 Update your contact information, set preferred times for cell phone calls and manage your Bridgecrest account. Among other things, the Agreement governs all text, articles, photographs, images, graphics, illustrations, creative, copy, artwork, video, audio, music, podcasts, ringtones, games, trademarks, trade names, service marks, and other brand identifiers, designs, plans, software, source and object code, algorithms, data, statistics, analysis, formulas, indexes, registries, repositories, and all other content, information, and materials (collectively, "Content") available on or through the Service, whether posted, uploaded, transmitted, sent or otherwise made available by us, our licensors, vendors, and/or service providers. C. We reserve the right at any time to change the access means or methods for portions of the Service, the Service as a whole, or certain products and/or services. We may monitor activity on the Service. You hereby specifically agree to such monitoring. Nevertheless, we do not make any representations, warranties or guarantees that: (1) the Service, or any portion thereof, will be monitored for accuracy or unacceptable use, or (2) we will take any specific action (or any action at all) in the event of a challenge or dispute regarding compliance or non-compliance with the Agreement. Experience with Our Service: If you have concerns about the content on our Service, the speed, or your user experience in general, please contact us at feedback@Bridgecrest.com. Copyright Complaints: If you have reason to believe that your Content has been copied and/or is accessible on the Service in a way that constitutes copyright infringement, or that the Service contains links or other references to another site, application, destination or service that contains Content or activity that infringes your copyright rights, you may notify us as described below in the section entitled Copyright Complaints. IMPORTANT: FALSE OR INACCURATE ACCUSATIONS THAT OTHERS HAVE COMMITTED A CRIME, INAPPROPRIATE ACT, OR VIOLATION OF THIS AGREEMENT, COULD BE A VIOLATION OF CRIMINAL AND/OR CIVIL LAW, OR OTHERWISE EXPOSE YOU TO LIABILITY FOR DAMAGES (INCLUDING COSTS AND ATTORNEYS' FEES). 1. This Service is not intended for use by children, especially those under age 13, and we do not knowingly collect personally identifiable information from users under the age of 13. No one under age 13 is allowed to register for the Service or to submit personally identifiable information to us, or to use portions of the Service that require registration. Minors between ages 13 – 17, inclusive, must get the permission of their parent(s) or legal guardian(s) before making purchases, including subscriptions for the Service. 2. You shall ensure that all equipment, hardware, software, products and/or services you use to access, visit, or use the Service does not disturb or interfere with our operation of the Service, or impede or interfere with others' access, visitation and/or use of the Service. We reserve the right, in addition to our other remedies, with or without notice, to immediately disconnect from the Service any equipment, hardware, software, product and/or services causing interference with us, our licensors, vendors, service providers, the Service or any Content. 3. If you provide to us the number for a mobile or other device, or we obtain the device identifier for a device you are using, you agree, represent, warrant, and guarantee that such device is registered in your name and owned by you, or that you have permission of the device owner(s). 4. Unless otherwise specified, the Service is intended for your personal, non-commercial use only. You are solely responsible for all usage of, or activities on, the Service by you and by those you authorize or allow to use, or provide access to, the Service, for example, by authorizing or allowing access to your account/profile or any computer, mobile or other device on which the Service resides or is accessible. 5. You must comply with all applicable import and export control laws, rules, and regulations of the United States and other countries, and you must not transfer, by electronic transmission or otherwise, any Content subject to restrictions under such laws, rules, or regulations to a site, application, destination, location, person or entity, or for an end use, prohibited thereby. 6. You represent and warrant that (i) you are not located in a country that is subject to a U.S. Government embargo, or that has been designated by the U.S. Government as a "terrorist supporting" country; and (ii) you are not listed on any U.S. Government list of prohibited or restricted parties. 7. Content that is provided by us, our licensors, vendors and/or service providers, including without limitation photos, images, text, music, audio, videos, podcasts, trademarks, trade names, service marks and other brand identifiers, the organization, design, compilation, and "look and feel" of the Service, and all advertising thereon, is protected by local, state, federal, provincial, national, international, and foreign copyright, trademark and other intellectual property laws, rules, and regulations, and is the property of us or our licensors, vendors and/or service providers. 8. Certain Content may be made available to you on or through the Service for download, installation, and/or streaming on your computer, mobile or other device, and via Real Simple Syndication (RSS), such as photos, images, text, music, audio, videos, podcasts, ringtones, games, graphics, or software. Such Content is subject to the same terms, conditions, limitations and restrictions applicable to all Content provided by us, our licensors, vendors and/or service providers. You must, in addition to all of your other obligations, use such Content only to the extent expressly authorized for the particular Content, and you may not use such Content in a manner that exceeds such authorization. Certain Content on the Service may be provided by third parties and Bridgecrest may not have editorial control over the content. The views or opinions expressed by those third parties do not necessarily represent the views of Bridgecrest. post, upload, transmit, send or otherwise make available on or through the Service any software disabling devices, time bombs, Trojan horses, cancel-bots, viruses, worms, bugs, corrupted files, spyware, adware, malware, malicious programs or code, or devices or defects of similar nature. 2. CAUTION: ANY ATTEMPT TO DO ANY OF THE FOREGOING PROHIBITED ACTS, OR TO OTHERWISE UNDERMINE THE OPERATION OF THE SERVICE, MAY BE A VIOLATION OF CRIMINAL AND CIVIL LAW. SHOULD SUCH AN ATTEMPT BE MADE, WE RESERVE THE RIGHT, IN ADDITION TO OUR OTHER REMEDIES, TO SEEK DAMAGES (INCLUDING WITHOUT LIMITATION ATTORNEYS' FEES) FROM ANY SUCH INDIVIDUAL OR ENTITY TO THE FULLEST EXTENT PERMITTED BY LAW, INCLUDING CRIMINAL PROSECUTION. We reserve the right, but undertake no duty, in our sole discretion, with or without notice, to review, edit, move, add, delete, or otherwise change any features, functionality, and/or Content available on or through, or downloadable from, the Service, including without limitation any Content in your account/profile. This includes updates or upgrades to Content. You agree to accept, and to take no action to interfere with, automatic upgrades or updates. Any changes to the Service may not be consistent across all platforms, computers, or devices. If you do not refresh the Service after each such change, or download the update(s) or upgrade(s), your experience may not reflect the most recent features, functionality, and/or Content, for which we and our Indemnitees disclaim any and all responsibility and liability. If any changes require you to obtain new, additional, or different equipment, hardware, software, and/or telephone, mobile, wireless, Internet and/or other services, you are solely responsible for any additional expense. Even after Content is removed from your account/profile, your messages, post(s), and/or threads, regardless of whether such removal or deletion is by you or by us, copies of that Content may be retained and/or remain viewable by us, our licensors, vendors, service providers and/or other third parties. 1. We respect the intellectual property of others, and we ask our users to do the same. We may, in appropriate circumstances and at our discretion, in addition to our other remedies, terminate, discontinue, suspend and/or restrict the account/profile or ability to access, visit, and/or use the Service of users who infringe the copyright rights of others, and we may choose to remove, delete, erase, or disable access to Content deemed to be infringing. It is our policy to terminate the access of repeat infringers. 3. IMPORTANT: MISREPRESENTATIONS MADE IN A NOTICE CLAIMING THAT CONTENT OR ACTIVITY IS INFRINGING VIOLATES THE DIGITAL MILLENNIUM COPYRIGHT ACT AND MAY EXPOSE YOU TO LIABILITY FOR DAMAGES (INCLUDING COSTS AND ATTORNEYS' FEES). COURTS HAVE FOUND THAT YOU MUST CONSIDER COPYRIGHT DEFENSES, LIMITATIONS OR EXCEPTIONS BEFORE SENDING A NOTICE. ACCORDINGLY, IF YOU ARE NOT SURE WHETHER CONTENT RESIDING ON OUR SERVICE INFRINGES YOUR COPYRIGHT, WE SUGGEST THAT YOU FIRST CONTACT AN ATTORNEY. IN ADDITION, PLEASE DETERMINE WHETHER THE CONTENT YOU ARE SENDING A NOTICE ABOUT IS ACTUALLY RESIDING ON OUR SERVICE BEFORE SENDING THE NOTICE. 2. YOU ACKNOWLEDGE THAT YOU ARE USING THE SERVICE AT YOUR OWN RISK. THE SERVICE IS PROVIDED "AS IS", "WITH ALL FAULTS" AND ON AN "AS AVAILABLE" BASIS, AND WE AND OUR INDEMNITEES HEREBY EXPRESSLY DISCLAIM ANY AND ALL REPRESENTATIONS, WARRANTIES, AND GUARANTEES, EXPRESS AND IMPLIED, INCLUDING BUT NOT LIMITED TO ANY WARRANTIES OF ACCURACY, RELIABILITY, TITLE, MERCHANTABILITY, NON-INFRINGEMENT, FITNESS FOR A PARTICULAR PURPOSE OR ANY OTHER WARRANTY, CONDITION, GUARANTEE OR REPRESENTATION, WHETHER ORAL, IN WRITING OR IN ELECTRONIC FORM, INCLUDING BUT NOT LIMITED TO THE ACCURACY OR COMPLETENESS OF ANY CONTENT CONTAINED THEREIN OR PROVIDED BY US OR THE SERVICE. WE AND OUR INDEMNITEES DO NOT REPRESENT, WARRANT OR GUARANTEE THAT ACCESS TO THE SERVICE AND/OR COMMUNICATIONS OR MESSAGING FROM OR TO US OR YOU WILL BE UNINTERRUPTED, TIMELY, OR ERROR FREE, OR THAT THERE WILL BE NO FAILURES, DELAYS, INACCURACIES, ERRORS OR OMISSIONS OR LOSS OF TRANSMITTED CONTENT, OR THAT NO SOFTWARE DISABLING DEVICES, TIME BOMBS, VIRUSES, WORMS, BUGS, OR DEVICES OR DEFECTS OF SIMILAR NATURE WILL BE TRANSMITTED ON OR THROUGH THE SERVICE, AND WE AND OUR INDEMNITEES WILL NOT BE LIABLE IN THE EVENT OF ANY SUCH OCCURRENCE. 3. WE AND OUR INDEMNITEES ARE NOT RESPONSIBLE FOR INCOMPLETE, INCORRECT, LOST, DELAYED, LATE, MISDIRECTED, GARBLED, DAMAGED, ILLEGIBLE, UNDELIVERABLE, OR INCOMPLETELY RECEIVED COMMUNICATIONS OR MESSAGING FROM OR TO US OR YOU FOR ANY REASON, INCLUDING BY REASON OF HARDWARE, SOFTWARE, BROWSER, NETWORK, COMMUNICATIONS SYSTEM FAILURE, MALFUNCTION, DELAY, OR CONGESTION, OR ANY INCOMPATIBILITY AT OUR SERVERS OR ELSEWHERE, OR FOR ANY OTHER TECHNICAL PROBLEMS, ANY FORM OF ACTIVE OR PASSIVE FILTERING BY A USER'S COMPUTER, MOBILE OR OTHER DEVICE OR ACCESS PROVIDER, INSUFFICIENT SPACE ON USER'S COMPUTER, MOBILE OR OTHER DEVICE OR ACCOUNT/PROFILE, OR ANY OTHER CAUSE OR COMBINATION THEREOF. 1. We reserve the right, in addition to our other remedies, to terminate, discontinue, suspend and/or restrict the Service, your account/profile, your ability to access, visit and/or use the Service or any portion thereof, and/or the Agreement, including without limitation any of our purported obligations hereunder, for any or no reason, with or without notice. In the event of any termination or discontinuation of your account/profile, your ability to access, visit and/or use the Service or any portion thereof, and/or the Agreement, we reserve the right, in addition to our other remedies, to reassign, and/or allow another user to use, your password and/or User ID. 2. Even if the Service, your ability to access, visit and/or use the Service or any portion thereof, and/or the Agreement is terminated, discontinued, suspended or restricted, by you or by us, we have no obligation to (but we may in our discretion) remove any Content, and therefore copies of all information with regard to your account/profile and/or Content you may have posted, uploaded, transmitted, sent or otherwise made available on or through the Service, may be retained and/or remain viewable by us, our licensors, vendors, service providers and/or other third parties. Nevertheless, we have no obligation to retain, store, or provide you with any information with regard to your account/profile and/or Content you may have posted, uploaded, transmitted, sent or otherwise made available on or through the Service. All provisions of the Agreement shall survive the termination or expiration of the Agreement and/or your account/profile. 1. The communications between you and us usually use electronic means, whether you access, visit or use the Service, send us messages, or whether we post notices on the Service or communicate with you via messaging. For contractual purposes, you (a) consent to receive communications from us in electronic form; and (b) agree that all notices, documents, disclosures, and other communications that we provide to you electronically satisfy any legal requirement that such communications would satisfy if they were in writing. Your consent to receive communications and do business electronically, and your agreement to do so applies to all of your interactions and transactions with us. 2. You understand and agree that joining the Service may include receiving certain communications from us, such as transactional or relationship messages, and/or messages about your account/profile, and that these communications are considered part of your account/profile and you may not be able to opt out of receiving them without ceasing to be a registered user of the Service. 3. If you wish to opt out of text messages and no longer have the text message with instructions for opting out, you can replay STOP at any time to any text message communication from Bridgecrest. The Service may contain hyperlinks to websites operated by parties other than Bridgecrest. Bridgecrest does not operate the third party service(s) or links and is not responsible for the content or accessibility outside of the Bridgecrest website. The Service may also contain content created by third parties, such as customer reviews, where third parties may express their ideas and opinions. Bridgecrest and its affiliates do not endorse the accuracy or reliability of any third party content. 1. The Service is based in the United States. It is not designed, customized or intended for, or directed to, any other country. Those who choose to access, visit and/or use the Service do so on their own initiative and are responsible for compliance with local laws, if and to the extent local laws are applicable. We make no representation, warranty or guarantee that the Service, or any merchandise, products, services, and/or Content available on or through the Service are appropriate, available, or legal in any particular geographic location. 3. You agree that in the event of any dispute between us, you will first contact us and make a good faith sustained effort to resolve the dispute before resorting to more formal means of resolution. If we have a dispute that we are unable to resolve, you and Bridgecrest agree to binding arbitration using the American Arbitration Association or J.A.M.S. You may send a demand for arbitration to either of the following: Refer to the Arbitration Agreement you signed when you purchased the vehicle. The applicable rules of the arbitration forum you select will apply. You are giving up your right to a trial by jury or class action or similar relief. You have all other rights and remedies under applicable law. We will not object if you wish to use small claims court. If the cost of the arbitration forum exceeds normal court filing costs where you live, we will pay these costs. If paying these normal filing costs is a burden, we will also pay these costs. The arbitration will occur at the closest AAA or J.A.M.S. office to where you live. You have the right to reject this arbitration agreement, in which event neither you nor we will have the right to require arbitration of any disputes. Rejection of this arbitration agreement will not affect any other aspect of your contract. In order for you to reject this arbitration agreement, we must receive a signed writing ("Rejection Notice") from you within 30 days of the day you enter into the contract, stating that you reject the arbitration agreement. The Rejection Notice must include your name, address and Customer Number and must be mailed to us at: Bridgecrest, 1720 W. Rio Salado Pkwy., Tempe, AZ 85281 by certified mall, return receipt requested. Upon receipt of your Rejection Notice, we will refund your postage cost. If you reject this arbitration agreement, that will not constitute a rejection of any other arbitration agreement between you and us. The privacy of your information is important to us. We use security measures to safeguard all details of your Bridgecrest experience. We do collect and use information from your visit, though, so please read on for more details. At Bridgecrest, we believe that the confidentiality and protection of your personal information is one of our fundamental responsibilities. We use security measures to safeguard your information with us and want you to know that you can count on us to protect the privacy and security of your customer information. In general, you can visit Bridgecrest.com without telling us who you are or revealing personal information about yourself. We generally collect personally identifying information with your knowledge and consent, but our servers may automatically collect information about you, your device, or your online behavior, and we may have information about you from third party sites. We generally collect personally identifying information with your knowledge and consent. For example, when you use the website, a password, user ID, your name, telephone number, street or email address, and other personally identifying information may be requested or collected. Your payment history if you have previously purchased or leased a vehicle from us. Information we collect from you via the credit application. Our servers may also automatically collect information about you, your online behavior and your computer, mobile, or other device. The information may include, without limitation, information about the device you are using, such as the make, model, settings, and specification of the device, and may also include the geographic location of you or your device, as well as the date/time stamp, IP address, pages visited, time of visits, content viewed, ads viewed, the site(s), application(s), destination(s), or service(s) you arrived from, and other clickstream data. If you choose to access, visit or use any third party service(s), that may be integrated with or linked to Bridgecrest’s website, we may receive personally identifiable information and other information about you and your computer, mobile or other device that you have made available to those services, including information about your contacts on those services. Your decision to use third party service(s) in connection with Bridgecrest is voluntary. Bridgecrest does not operate the third party service(s) or links and is not responsible for the privacy protection or content outside of the Bridgecrest website. We reserve the right to use, sell, transfer, assign, share, and provide access to all personally identifying information and other information about you and your computer, mobile or other device that we receive through third-party social networking services in the same ways described in this Agreement as all of your other information. We use personally identifiable information you supply to provide you with the content you have requested. We may also use the information to communicate with you about new features, products or services, or to improve the services that we offer by tailoring them to your needs. We may share information about you, your computer, mobile or other device, with our parent, subsidiaries, and affiliates. We may also allow access to third parties that provide us with services, such as technical maintenance or market research, but only for the purpose of and to the extent necessary to provide those services. There are also times when you may provide information about yourself to us in areas that may be managed or participated in by third parties. In such cases, the information may be used by us and such third party(ies), each pursuant to its own policies. While we may seek to require such third parties to follow appropriate privacy policies and will not authorize them to use this information except for the express purpose for which it is provided, we are not responsible for any actions or policies of third parties. We may, disclose certain information to government agencies, consumer-reporting agencies, and other outside parties as permitted or required by the Federal Privacy Act and other applicable laws, for example, to cooperate with governmental, law enforcement, or other investigation(s) or legal proceedings. We reserve the right to use the information we collect about you, your computer, mobile or other device, including geographic information, which may at times be able to identify you, for any lawful business purpose, including without limitation, to help diagnose problems with our servers, to gather broad demographic information, analyze trends, track users’ movements around the website, and to otherwise administer the website. We and our service providers use analytics to analyze traffic to this website in order to help us understand our customers’ and visitors’ needs and to continually improve our site. Some of the analytics use the tracking technologies described below. We reserve the right to use, sell, transfer, and share data about our users for any lawful business purpose. We may use local device storage or tracking technologies for any lawful business purpose, including to gather and/or store information, deliver content, and administer services on the website. We may use local device storage or tracking technologies, such as web beacons, web bugs, clear gifs, and similar technologies, for any lawful business purpose, including without limitation to determine which of our messages have been opened by recipients so we can gauge the effectiveness of marketing campaigns, to track usage patterns, the movements of individual users, and your geographic location, to help diagnose problems with our servers, to gather broad demographic information, to analyze trends, to conduct research, to deliver editorial content, to record registration and personalization information, and to otherwise administer services on the website. Local device storage may also collect and store your personally identifiable information, which may be shared with our parent, subsidiaries, affiliates, and other companies. This website secures your private information using a SSL Certificate, but because no data security system is impenetrable, we cannot guarantee the security of the information you provide, and you agree to assume that risk. This website secures your private information using a SSL Certificate. Information exchanged with any address beginning with “https” is encrypted using SSL before it is transmitted. Because no data transmission is completely secure, and no system of physical or electronic security is impenetrable, however, we cannot guarantee the security of the information you send to us or the security of our servers, networks or databases, and by using the website you agree to assume all risk in connection with the information sent to us or collected by us when you access, visit or use the website, including without limitation your personally identifiable information or other information, and we are not responsible for any loss of such information or the consequences thereof. If you elect to store information, such as your personally identifiable information or other information, where others may access it, we are not responsible for any loss of such information or the consequences thereof. If you lose a computer, mobile or other device, or it is stolen, that contains your personally identifiable information or other information, it is up to you to take all the steps necessary to protect yourself. If you suspect that someone has had unauthorized access to your account with us or access to your personally identifiable information, you should report this crime to your local law enforcement agency and to the Federal Trade Commission (FTC). To speak with a trained FTC telephone counselor, call toll-free 1-877-IDTheft (1-877-438-4338). Or, to enter information about your complaint into a secure FTC online database, visit www.Consumer.gov/idtheft The site also provides links to consumer education materials. These practices and policies are subject to change, but we will communicate any material changes to you. The practices and policies in this disclosure replace all previous privacy notices or statements of Bridgecrest. If you have any questions about this privacy statement, please contact: Tamara Conrad-Sullivan, 1720 W Rio Salado Pkwy, Tempe, AZ 85281 or privacy@Bridgecrest.com Make sure to include enough information so that we can help you, such as your name, contact information, and the specific website mobile site, application, and/or other service you are contacting us about. Your changes have been saved. Please allow 24 hours for these to take effect.